When it comes to professional and personal improvement, John Mattone’s Miami executive coaching programs are invaluable. John Mattone provides executive and leadership coaching services in Miami that were designed to help CEOs, executives, entrepreneurs, and all business minded people by fostering the invaluable skills needed to advance in a competitive and always changing work environment. John Mattone’s Miami executive coaching proves to be highly effective at building on the skills that are needed to advance careers. John Mattone’s Miami executive coaching programs offer numerous benefits to professionals. By hiring a professional coach, he or she will be able to create a personalized agenda for you on different areas where you can improve upon to help you become a better leader. Communication Skills are critical if you want your team to follow your lead. It is critical to be able to clearly and effectively communicate your messages to avoid any confusion or tension. By being to able to clearly communicate your messages, nothing will be misconstrued, and processes should be more efficient. John Mattone will be able to help you learn how to set goals and accomplish them within a given timeline. Within the workplace, there can occasionally be some internal tension or conflict. It is critical for the leader of the team to know how to appropriately handle these situations so that everyone involved feels that they are being heard. John Mattone’s Miami executive coaching programs will help you learn a variety of problem-solving skills to implement into your leadership style. John Mattone’s Miami executive coaching program is specifically for those already in managerial roles, including directors, managers, entrepreneurs, and vice presidents. Here, John creates a personalized agenda which identifies the executive’s professional strengths and weaknesses. He then works with the executive for a period of 6-12 months in order to enhance the skillsets identified so that the executive can boost their leadership styles for the better. 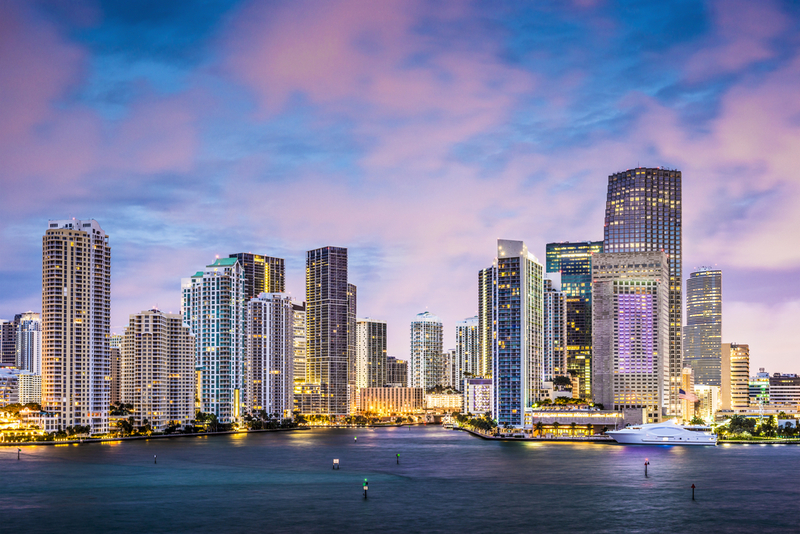 C-Level executive coaching in Miami is for a select few high-level executives that are looking to enhance their leadership styles to better manage and head their teams within the workplace. In this program, which typically lasts for a period of 6-12 months, John works directly with the executive for about 50-75 hours to improve their leadership skills. John will conduct an in-depth questionnaire based on his own proprietary assessments. He will also basically “shadow” the executive throughout their work day. Afterwards, John will come up with a customized agenda with different areas of focus to improve upon that the executive can then implement into their everyday management styles. The High-Potential Accelerated Executive Coaching program is quite similar to the executive coaching program, except it is much less time-consuming and more cost-effective. It is an accelerated program where John helps you to enhance your leadership skills over a shorter period of time. Typically, there are fewer areas of focus in the program with more time spent on the main goals. The Monthly Mentoring program is a customized program where you can choose how you want to spend your coaching sessions. For example, if the top skillset you want to enhance is your communication skills, then John will focus the one-hour, one-on-one training session on this specific topic. These sessions can be ongoing or a one-time occurrence based on your needs. The Monthly Coaching Journey with John is for those individuals who are looking for guidance on how to better their professional and personal lives. In this program, John picks a group of individuals who are looking to advance within their careers and helps them to learn valuable skills that will get them further in their professional lives. The CEO Aspire Mastermind Family is for individuals that know they are destined for more than they are currently experiencing in their professional world. Here, John shares all that he has learned from working with high-level executives so that these individuals in the group can implement some of the best tactics to their own professional lives. The Aspire Mastermind Family program is for those that want to get on the right track to greatness in the professional world. Here, John works with the individuals in the group to get them in the right direction. He helps motivate and encourage them and gives them skills to use within their professional environments. Contact John Mattone today for more information on his executive and leadership coaching services in Miami.